It’s finally here! Long-waited sTARTUp Day 2019 “From Zero to Hero” festival kicks off already tomorrow! Three days of community-organized awesome events – inspirational keynotes, seminars, demo area and more amazing stuff is awaiting. So it’s time to get ready – we have some tips & tricks on how to get maximum of the festival and make things smooth and easy. Here we go. Baby, it’s cold outside! Please collect your badge already on 22nd or 23rd January from Tallinn or Tartu. “Where can I get it?” you ask. Here you go, check the badge collecting points from here. Once you have received the “badger” status you allowed to use the VIP queue at the main festival days. You can also collect your badge on the spot. But as we said – it’s pretty cold outside and you don’t wanna wait in a loooong queue! 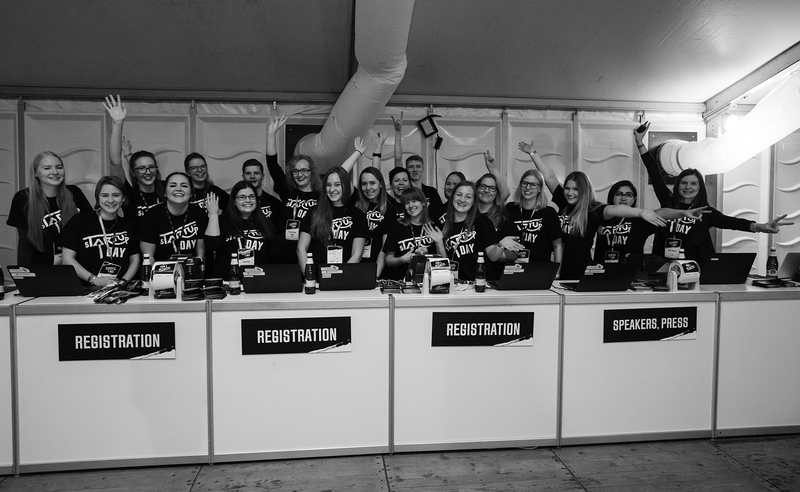 Check out our main program, register to hands-on seminars (the first ones are already sold out), network at side events and have fun at parties. We have 19 different themes (AI, marketing, creative business, smart city, space tech, etc). Hottest products on the market, innovations and new technologies can be seen in the demo area – don’t miss the chance! Getting the most out of a business festival or a conference is a skill. At Conference Hacking, we'll give you know-how on planning your conference day, introduce you the program of sTARTUp Day, share insights on arranging meetings and many more. You can also collect your festival badge and wristband, get your morning coffee and meet other sTARTUp Day 2019 attendees for the first time. Tartu is a great human-sized city so it’s best to walk to the venue because the main venue – UT Sports Hall (Ujula 4) is not far from the city centre. But if you’re too far away and/or it’s too cold outside you can use the buses number 4 or 7 from the city centre (bus stop “Hansakeskus” to the “Vene” and then 5 minutes walk to the venue. Bus cards and stickers can be purchased at R-Kiosk, shopping centers, and other stores and they cost €2. You can load money onto your card and buy tickets at sales points, online or via mobile phone. If it is your first time in Tartu, it is best to take a taxi to get to your final destination in the city. Most taxi drivers speak some English and all taxis are equipped with meters. The easiest way to order a taxi is using Taxify app, created by an Estonian unicorn. There is no Uber in Tartu. Yeap, it’s all about the cold weather these days and we don’t want you to get cold. So we kindly recommend you to wear your warmest winter coat gloves, hats, boots, scarves and whatever else keeps you warm & cozy. You have the opportunity to change your shoes at the venue, so you don’t have to wear boots the entire time. Other than that we want you to be as comfortable as possible during the event, so business casual is the way to go. You can also wear just casual clothes, but business casual is preferred when possible. For keeping your energy high you can grab a coffee from cafe area or get lunch or snacks from the food court. Coffee shop Caffeine has their own lounge area with comfy sofas and pop-up cafe where they offer different coffee drinks. The food court is the place where attendees can get a lunch or snacks to invigorate your mind and soul. Perfect areas to chill out and get some fuel for your body. We have matchmaking area where you can schedule 15-minute meetings with other participants of sTARTUp Day 2019. For finding your right match use our Brella app. Once the meeting is confirmed, you will be assigned a table in the matchmaking area. Enjoy your festival and attend fun side events! Don’t fill your days only with work and tight schedules, so you can have some spontaneous fun and make new connections at the festival! Don’t forget to use our official hashtag #startupdayfest in your Instagram, Twitter and Facebook posts. And also to follow the festival highlights every day! 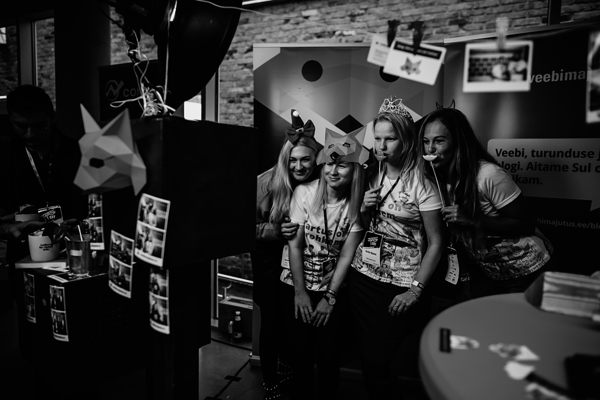 We wish you an awesome sTARTUp Day experience!